The French BEA released the final report of their investigation into a serious momentary loss of control incident involving a Boeing 777. 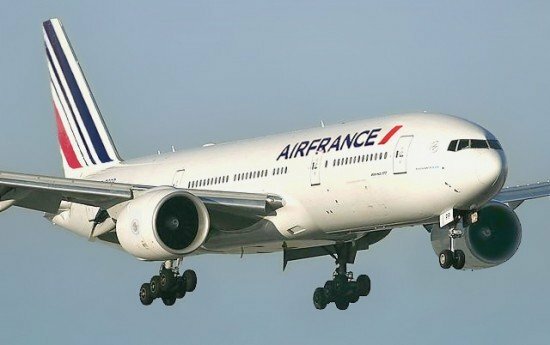 On November 16, 2011 a Boeing 777-200ER, operated by Air France, was descending towards Paris-Charles de Gaulle Airport, France. The aircraft, F-GSPP, operated flight AF471 from Caracas, Venezuela. The descent was radar vectored to runway 08R. Due to the visibility, the captain decided to make an automatic category 3 ILS final approach (CAT3). Under these conditions the co-pilot, who was supposed to perform the landing, reverted to Pilot-Not-FLying (PNF) in accordance with the operators procedures and the arrival briefing. The relief pilot was in the cockpit, on the central observers seat. At 10:29:39, while the aircraft was established on the glide path and localizer, the amber warning “NO LAND 3” was displayed on the EICAS. The indication “LAND 3” previously displayed in green on the PFD was replaced by “>LAND 2<“. The Master Caution warning was sounded. At that time, the altitude was 490 ft. The radio altitude was 320 ft. The Calibrated Airspeed (CAS) was 136 kts. The pitch attitude was +1°. The relief pilot called out “warning” and the PNF called out “go-around”. At 10:29:47, the Pilot Flying advanced the thrust levers to the stop in two seconds. He disconnected the auto-throttle. Simultaneously, a nose-up input by the pilot flying on the control column was recorded but it was not strong enough to disconnect the autopilot. The radio height was 250 ft. The CAS was still 136 kt. At 10:29:48, the pitch decreased and the CAS increased one second later. Between 10:29:50 and 10:29:56, the horizontal stabilizer began to change position towards a nose-down input (it moved from -0.5° to +1.15°). At 10:29:51, the PNF selected flaps 20. The pitch attitude stabilised at around -2°. The relief pilot called out “pitch attitude”. At 10:29:56, the pilot flying and the PNF almost simultaneously applied a nose-up input. The autopilot was disengaged. Vertical acceleration reached 1.84 g.
The pitch attitude changed from -2° to +7° in 2 seconds then dropped again to +4°. Between 10:29:57 and 10:30 the pilot flyings nose-down input and the PNFs nose-up input on the wheel cancelled each other out: the wheel returned to the neutral position. The CAS was 169 kt. The relief pilot once again said “pitch attitude”. At 10:30, the pilot flying stopped attempting to apply a nose-down input and the overall order given by the position of the control column was nose-up. The recorded vertical acceleration was 1.71 g. The pitch attitude changed from +5° to +11° (in two seconds), then from +11° to +19° (in ten seconds). The radio altitude reached a minimum value of 63 ft during the incident. The pilot flying then followed ATC instructions (4,000 ft on the extended centreline, previously given). He set up the aircraft again for a CAT3 AUTOLAND final approach. The landing took place without any particular problems. The investigation was based on recorded data (QAR, FDR) and accounts from the flight crew. The cockpit voice recorder, which was safeguarded by the crew, was erased by mistake before it could be read out by the BEA. BEA concluded that this serious incident was due to the inadequate monitoring of flight parameters by the flight crew.  The conflict of plans of action between respecting the operators instruction and continuing the landing, which seemed to be safely possible according to the manufacturer.